This is F1Minute - Pirelli reveal new tyre markings for 2012 season. 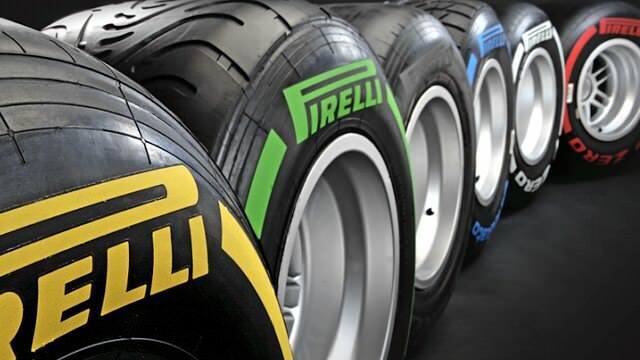 F1’s sole tyre supplier Pirelli held an event in Abu Dhabi today to unveil their new range of rubber for the upcoming season. The most visible change is to the sidewall markings which have been tweaked. The four compounds of dry tyres remain the same colour, but with thicker lines and text to make them more distinguishable in motion. The intermediate tyres remain blue, but the full wet tyres have changed from orange to green. In terms of performance, Pirelli claim to have made the tyres “softer, with increased grip, better performance, a longer performance peak, but an unaltered lifespan.” They want to keep at least two pitstops per race for teams, but also create potential for more variety when it comes to strategies. Pirelli have also created the first realtime database for teams and engineers, recording performance, temperature and pressure. There’s also talk of more information eventually feeding its way through to fan’s TV screens as well.